When driving at BOI, Learn how to receive these trip requests and get in on the action. The waiting area covers areas around the airport as shown in the map below. Waiting on airport property is discouraged by Airport Management. Once you accept a trip request, meet your rider curbside outside of baggage claim. Riders can be dropped off at curbside outside the airport terminal. 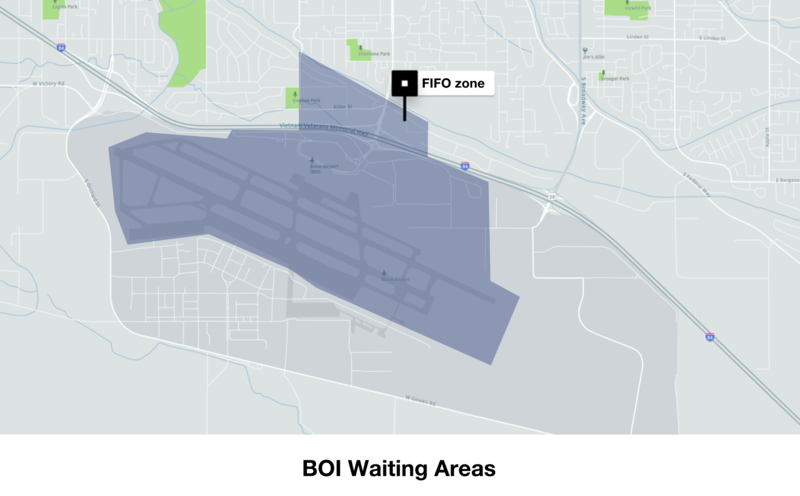 If you’d like to receive a trip request afterward, you’ll need to keep the Uber driver app on to maintain your place in the FIFO queue.